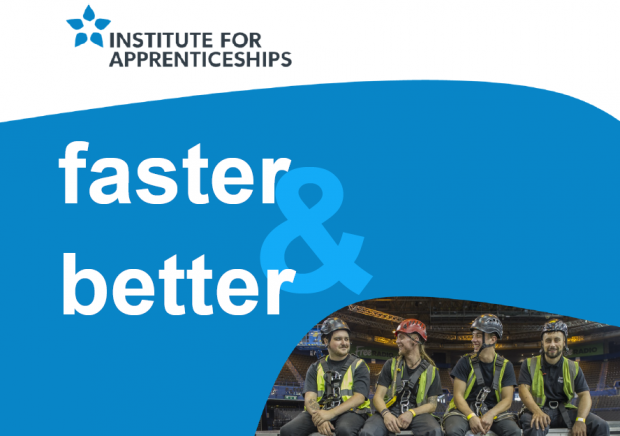 The coming year will see a number of significant milestones in the development of the Institute for Apprenticeships. Not only will we mark our first anniversary in April 2018, but we are embarking on an ambitious change programme. You’ve told us the development process for standards and the Institute’s approvals processes can and needs to be quicker – and slicker. And you’re right. We recognise that we are very much at the start of a journey. We share the view of the government and many employers of the challenge ahead: the pressing need for more highly skilled people, trained effectively, to grow the economy, raise productivity, and ensure prosperity and security for individuals. To achieve this we need to make sure that all of our interactions with employers and processes we use are fit for purpose in the new age of apprenticeships. There will be some transitional arrangements as we implement the new systems, to allow our current trailblazer groups time to adapt. And throughout 2018 and beyond, we remain committed to a programme of continuous improvement. Our systems must be sufficiently flexible and adaptable, to ensure as many high quality apprenticeship standards can be ready for employers and apprentices to use as soon as possible. Through the "Faster and Better" programme, we’re responding to the challenge as we enter the second stage of the Institute’s development, and in preparation for technical and professional education becoming part of our remit later this year. Details of the changes can be found on our website.